Looking for a fun way to enjoy a classic film? We can't think of a better way than joining AFS Cinema on June 21st. That night the Austin Film Society will be hosting a screening of 1967 camp classic Valley of the Dolls. We love this movie for much more than its glitz and camp. We love it for its 60s glamour and high style. Based on the Jacqueline Susann novel, Valley of the Dolls, the film is about the highs and lows that come with success. It follows three women (Patty Duke, Barbara Parkins and Sharon Tate) who rise to fame across the globe, then fall from grace. The film features love affairs, pills, booze, classic style and campy dialogue that provides something for everyone. Over fifty years later, it remains a cult classic, particularly among the LGBT community. 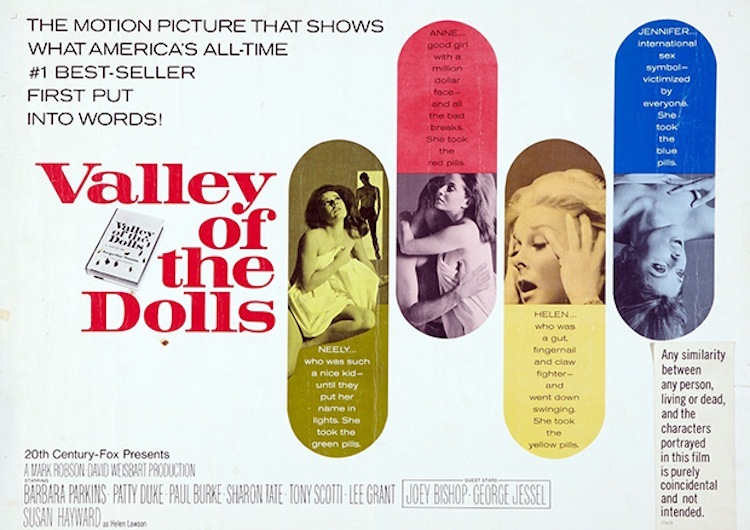 In addition to its timeless style, one of the reasons the film has endured is the universal theme of life's Valley of the Dolls tells this theme with a level of humor and wit in a way that still resonates for today's audience. It is the perfect movie for a summer date night or a night out with friends. Before the screening there will be a complimentary 90-minute cocktail reception for ticket holders. The Valley of the Dolls screening will be at AFS Cinema located at 6929 Middle Fiskville Road Austin, TX 78752. There will be a cocktail reception in advance of the movie starting 6PM with the movie beginning at 7:30PM. In honor of pride month, portion of ticket proceeds will benefit the Kind Clinic. This is the perfect way to kick off the summer and show off your newest summer-chic threads. Join in on the fun and purchase your ticket by clicking here.